Professor Reed is a specialist in the history of modern China with particular focus on the period from the mid-eighteenth to the mid-twentieth centuries. His teaching covers the Qing, Republican, and People's Republic periods. Professor Reed's research concentrates on China's modern media, print culture, print capitalism, and print communism. His book Gutenberg in Shanghai: Chinese Print Capitalism, 1876-1937(University of British Columbia Press and Weatherhead East Asian Institute, Columbia University, 2004; University of Hawaii and Hong Kong University presses, 2005) combines the history of technology, business, politics, and culture in the study of modernization in China's largest city. In 2014, Beijing's Commercial Press published an authorized Chinese translation of this book as 《谷腾堡在上海：中国印刷资本业的发展（1876-1937) 》. In addition to publishing journal articles and book chapters, in 2010, Reed contributed 15 entries on modern Chinese book history to the Oxford Companion to the Book. Most recently, with Cynthia Brokaw, Professor Reed published From Woodblocks to the Internet: Chinese Publishing and Print Culture in Transition, 1800 to 2008 (Brill, 2010) which includes two of his essays, one of them titled "Advancing the (Gutenberg) Revolution: The Origins & Development of Chinese Print Communism, 1921-1947." The thirteen essays in this volume narrate and analyze the reciprocal influences of technological, intellectual, and sociopolitical changes on the structure of modern China's book (and print) trade; more specifically, they treat the rise of new genres of print, changes in writing practices, the dissemination of ideas and texts (both paper and electronic), the organization of knowledge, and the relationship between the state and print culture. Gutenberg in Shanghai won the 2003-05 ICAS Humanities Book Prize (co-sponsored by the US-based Association for Asian Studies, the European Alliance in Asian Studies, and Leiden University's [The Netherlands] International Institute for Asian Studies); for more information, please see this English-language article from the China Daily. Gutenberg in Shanghai also received Honorable Mention in the DeLong Book Prize competition of the Society for the History of Authorship, Readership, and Publishing (SHARP) in 2005. From 2004 to 2009, Professor Reed was the editor of Twentieth-Century China, a leading international historical journal of modern and contemporary China, that he partnered with the Historical Society for Twentieth-Century China, a scholarly association affiliated with the AHA and AAS. 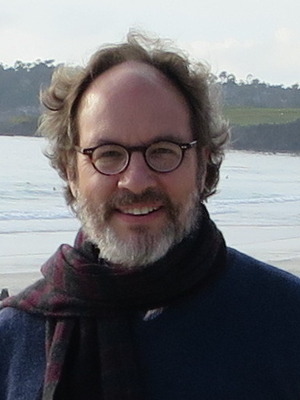 Since 2009, he has been a member of the journal's Editorial Board. He is also the Editorial Board member in charge of Asia for Book History, the international scholarly journal of SHARP. He has served as a visiting professor at Victoria University in Wellington, New Zealand. While there, he delivered the D.F. Mackenzie Lecture in Book History at the National Library of New Zealand. In 2006, Reed was named the Hulsewe-Wasniewski Lecturer in Chinese Studies at Leiden University in The Netherlands. Prior to coming to Ohio State, Professor Reed taught on the faculties of the University of San Francisco, University of Oklahoma and Reed College (in fact, when he was there, he was the only Reed at Reed). The recipient of three Fulbright awards among other research grants, Professor Reed has lived in China and Taiwan for over five years. He has also worked and traveled widely throughout Asia, the South Pacific, Europe, and North America. Living in those places did not improve his squash game at all, but that does not stop him from playing as frequently as possible.